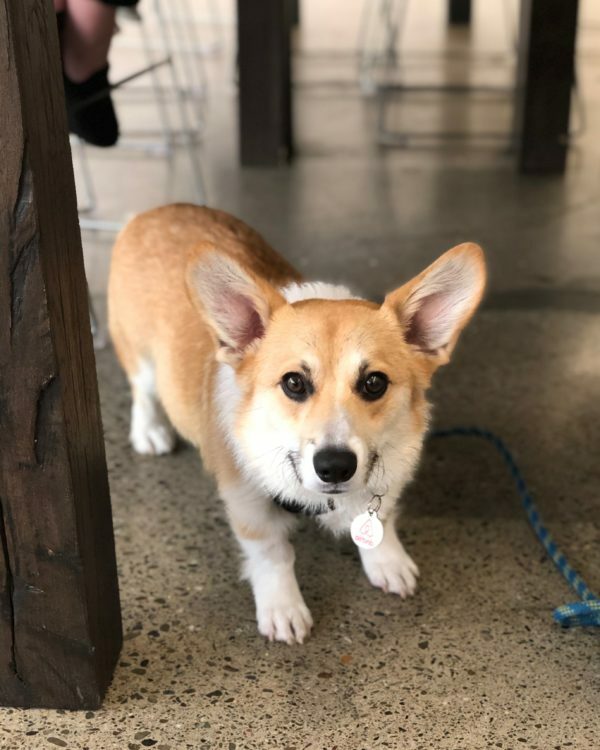 This is one of the Airbnb corgis, but I’m not sure which one. His humans were talking and I didn’t have the heart to interrupt. Of course, I also didn’t have the heart to NOT pet the pup. Look at those eyebrows. Are they for real? I don’t think I’ve ever seen anything like that on a corgi. This entry was posted in Dog of the Day and tagged Mission, Pembroke Welsh Corgi, SOMA, Work. Bookmark the permalink.